Deloitte Advisory's Cyber Risk team helps complex organizations more confidently pursue their growth, innovation and performance agendas through proactive management of the associated cyber risks. Our professionals provide advisory and implementation services that integrate risk, regulatory, and technology skills to help clients transform their legacy Are you interested in improving the cyber risk protection of leading companies? 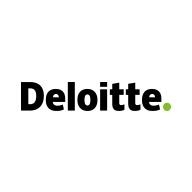 If your response is yes, consider joining Deloitte & Touche LLP’s growing Cyber Risk Managed DLP (mDLP) Services practice. Our mDLP analysts and engineers assist our clients with identifying unauthorized actions related to sensitive data in real time. programs into proactive Secure.Vigilant.Resilient.TM cyber risk programs. Join the team developing the future state of cyber risk solutions. Learn more about Deloitte Advisory’s Cyber Risk Services practice.